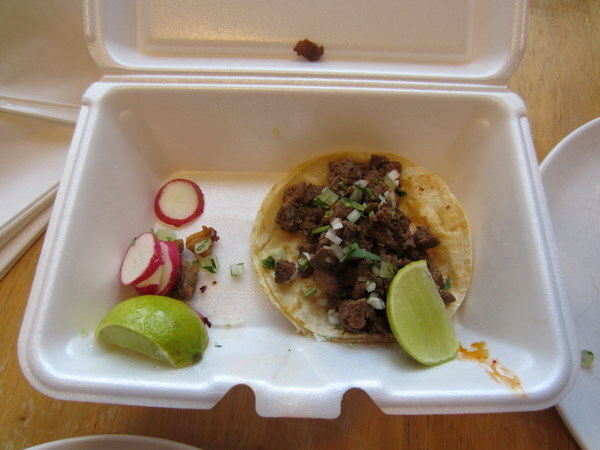 Back when Daniel B. posted on All Over Albany about Tacos at La Mexicana Grocery & Restaurant, Cute W and I sent each other the link with messages laden with multiple explanation points about how we must try it soon. But of course, the holidays were busy. 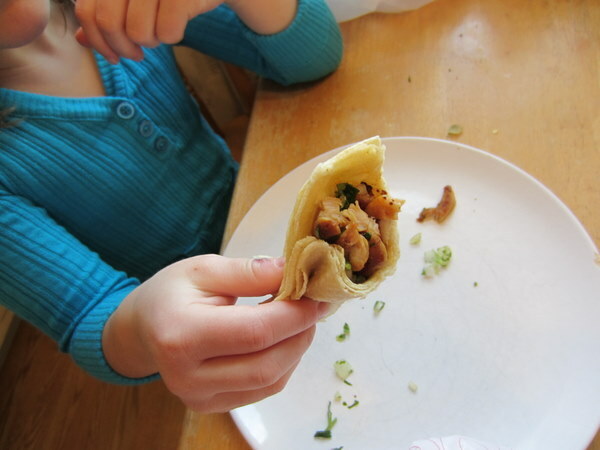 Over the weekend, Cute W planned a menu out of one of his Rick Bayless cookbooks, so it was the perfect opportunity to shop and get some takeout at the same time. And the tacos are $2. So that’s awesome. Cheaper than Chipotle, for sure. 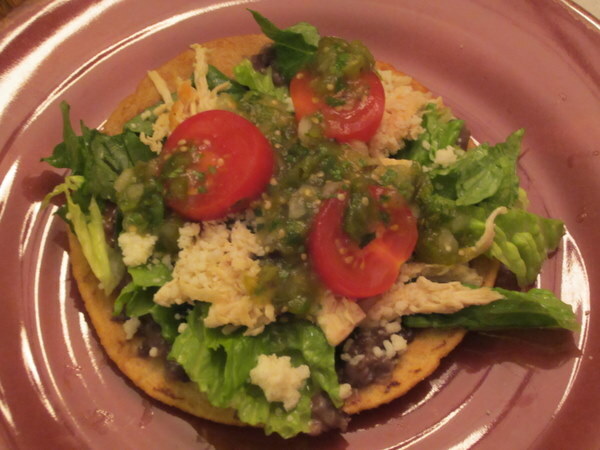 Of course, Cute W’s dish was delightful as well: tostadas with a black bean concoction, shredded chicken, romaine lettuce with a bit of dressing, Mexican cheese, roasted tomatillo salsa, and tomatoes. Just typing it is making me a little bit sad that the leftovers are gone. Cute W is not the only cook in the family. J invented a new dessert recipe. 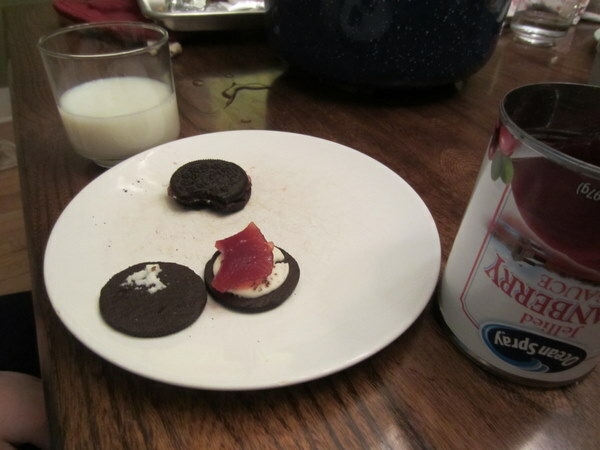 Simply unscrew an Oreo, add a dollop of cranberry sauce, replace the tip, and voila! Very sophisticated if you are 7 years old. And Cute W thought it was tasty, too.